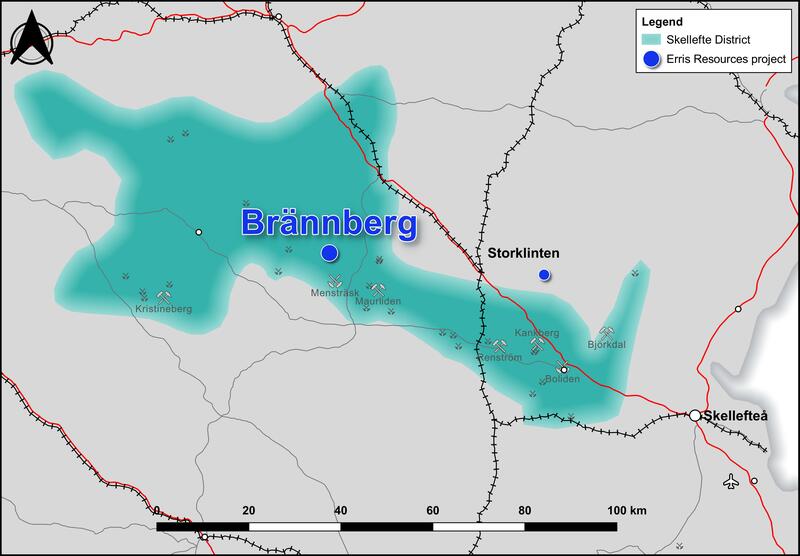 Brännberg comprises five permits acquired via direct application from the government and a sixth permit (Grundtrask #7) acquired from Beowulf Mining. 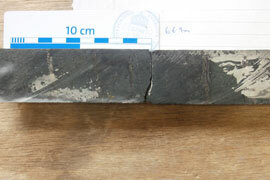 Previous drilling had a high success rate. 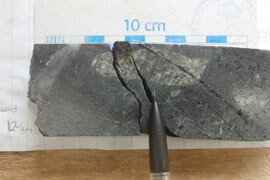 Twenty one shallow holes were drilled, and seventeen were assayed, of which fourteen returned >1g/t Au >1m. 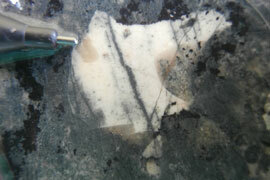 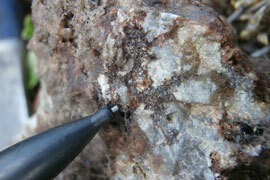 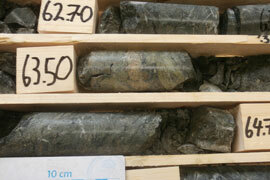 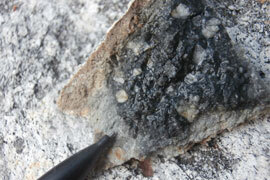 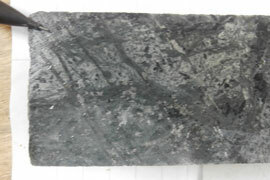 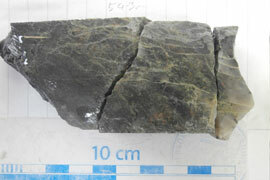 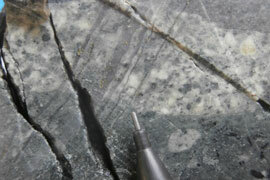 Mineralisation is open at depth and along strike. 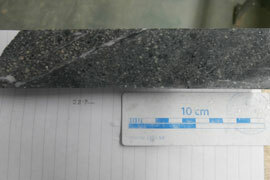 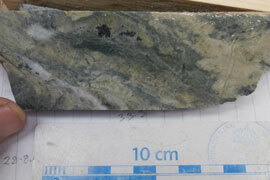 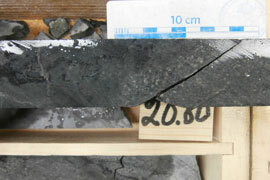 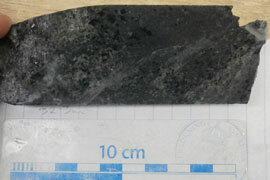 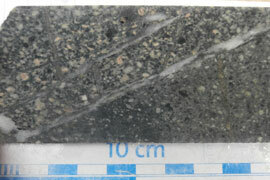 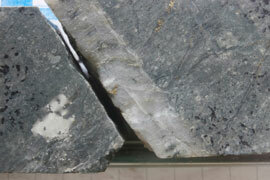 Results include 28m @ 2.0g/t Au and 33m @ 1.8g/t Au, both from top of bedrock in holes approximately 100m apart. 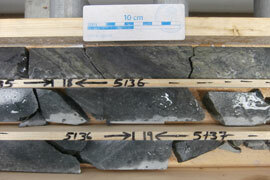 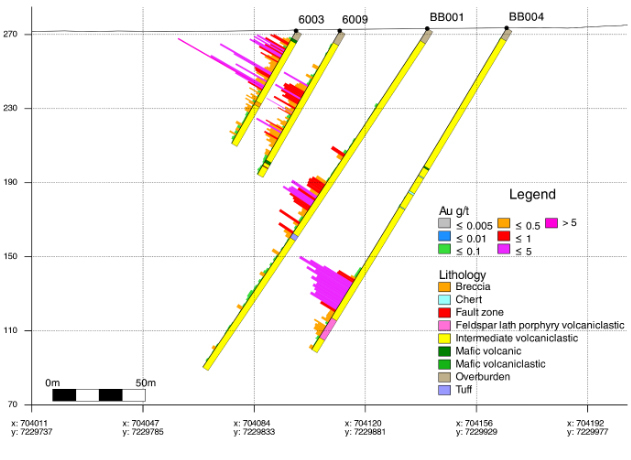 Mineralisation is associated with a strong alteration system. 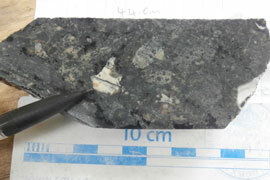 Gold is present with sheeted quartz-arsenopyrite +/- chalcopyrite veinlets and a separate magnetite-quartz-carbonate-epidote +/- sulphides (pyrrhotite/pyrite) phase. 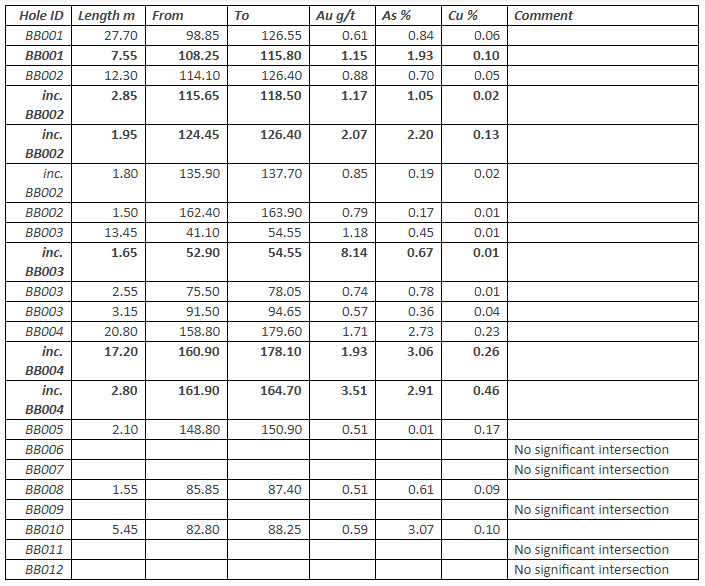 A total of 14 holes totalling 2,681.7m were drilled between July and September 2018. 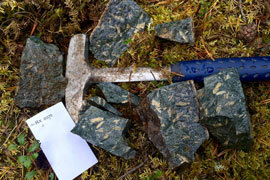 The drilling tested the down dip and along-strike continuations of mineralisation intersected in historic drilling by Beowulf Mining. 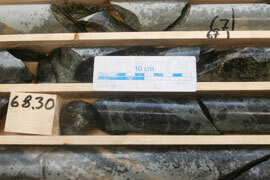 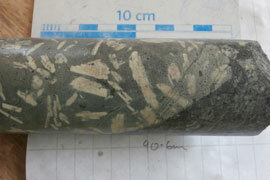 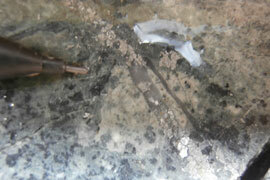 Drilling also tested new ground magnetic anomalies and IP chargeability anomalies. 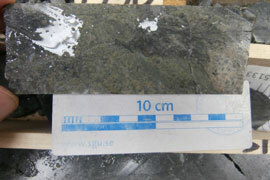 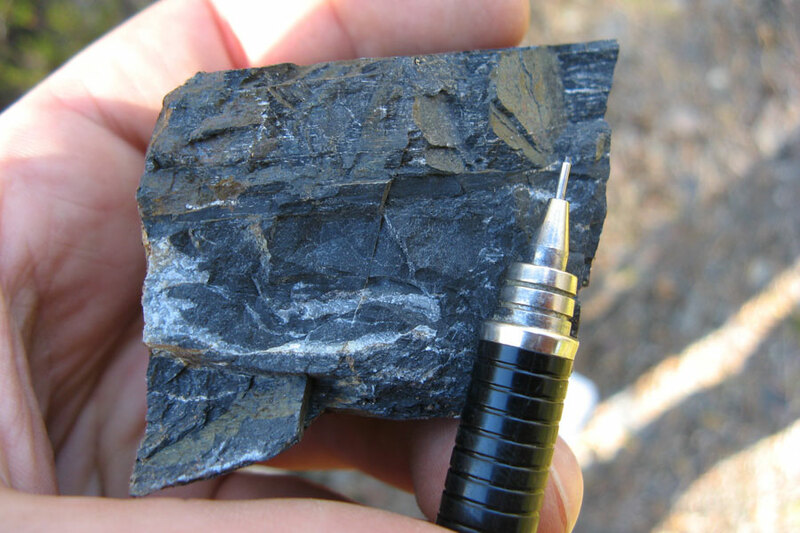 All holes encountered strong alteration zones and traces of mineralisation including veinlets and disseminations of arsenopyrite and chalcopyrite. 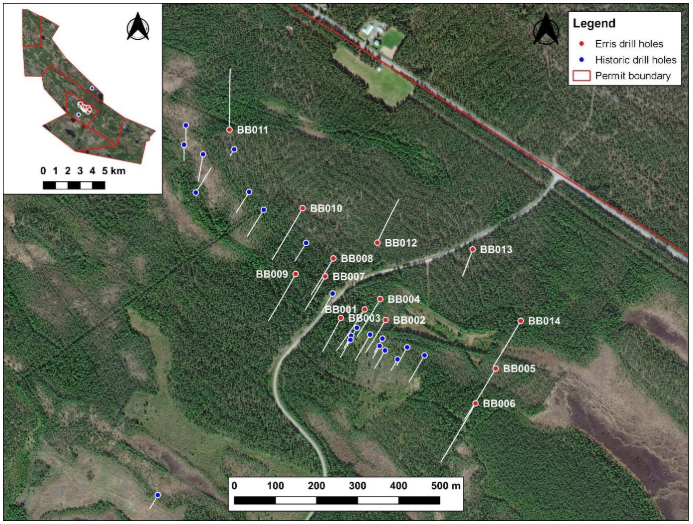 Gold is associated with a stockwork of sheeted quartz-arsenopyrite veins and the increased vein density in BB001 and BB004 may be related to a localised kink on a main NW-trending structure. 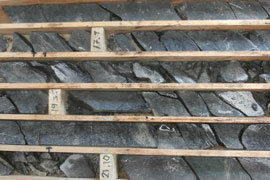 The core of the mineralised zone has significant intersections over a strike of 150m while mineralisation is open at depth with copper and arsenic increasing down dip. 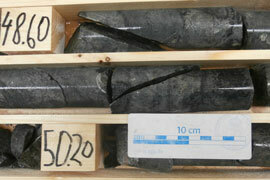 Drilling to date has only tested approximately 900m along a single corridor within the 5,285Ha permit block. 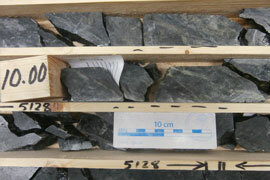 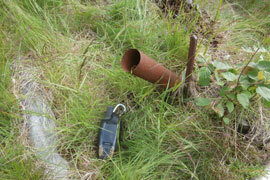 Drill results confirm that there is a gold system at Brännberg that warrants further work. 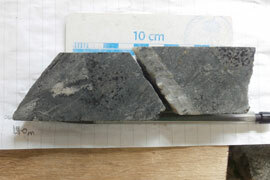 The project is located in the highly endowed Skellefte Mining District only 10.8km from the active Maurliden Mine (Boliden) and 6.2km from a closed mine (Mensträsk). 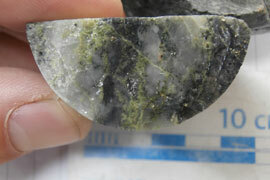 The permit area is also prospective for polymetallic base metal deposits. 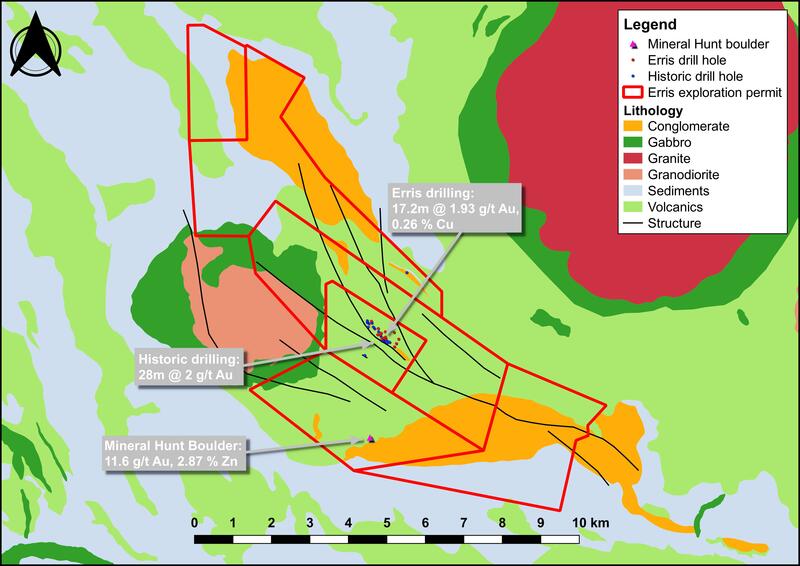 The project is 100%-owned by Erris Resources and is available for JV or purchase. 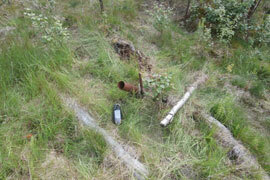 Section showing historic holes 6003 & 6009 and Erris drill holes BB001 & BB004 at the Brännberg project.